We are a highly rated Painting Company in Mesa AZ. See why most of our business is from referrals and repeat customers! We are ready and willing to get started on your job! Our painting company has been in business for over 10 years and are experienced in all types of paints and textures. All of our painters are bonded and insured. We can work with the current trends and mediums and can make your vision come true. Since we do both interior and exterior we can totally transform your home or business and make you proud to show it off. Exteriorly, nothing improves the curb appeal of your home or business like a fresh coat of paint. We will repair holes and cracks, prep the area and apply two coats of paint by sprayer. Then we will brush paint the trim, gutters, etc.. We will not be satisfied until you are. The interior of your home is your sanctuary and an update will make you feel happy to come home everyday. Our painting company in Mesa will follow our quality steps including patching, prepping and applying two coats of your desired color. 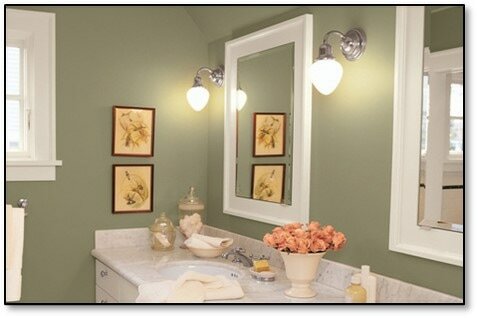 We can do one color, add an accent wall or you can do several colors or even a pattern. When you are ready to get started, Mesa Painting Pro is ready to help. Contact us and we can come out with paint samples, measure and give you an accurate estimate.